Here are my most-used brushes, collected from the web and tweaked a bit to my sensitivity tastes. It almost looks and feels like real pencil! The trick for a more realistic effect is to use a dark gray color instead of pure black and a very light, low-saturated color blue as background. Click on the picture to see details. Beautiful! 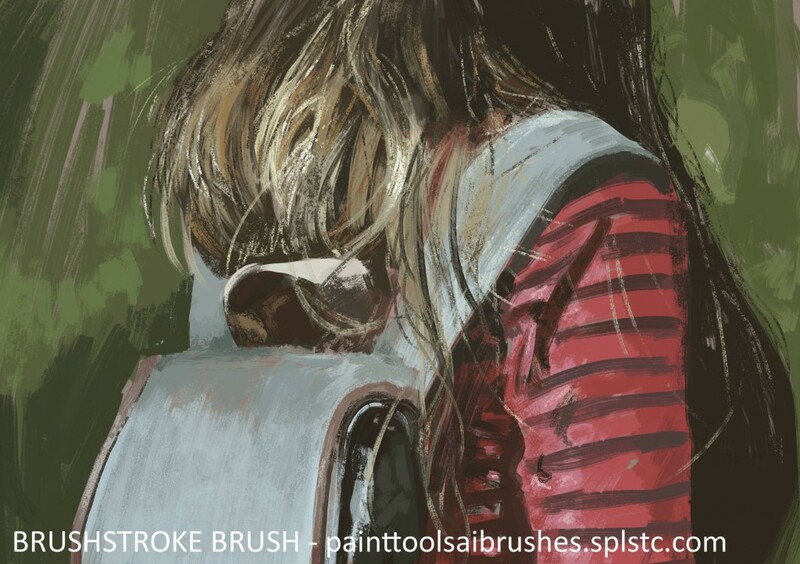 This is a painterly, strokey, chalky brush. Paint lightly to get a rough, dry brush effect. 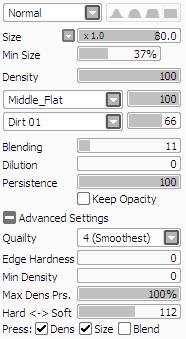 Works better if you tweak the Hard <-> Soft settings to your liking. 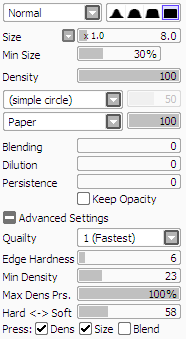 Sometimes I turn on the Blend checkbox if I need to mix colors as if using wet paint. 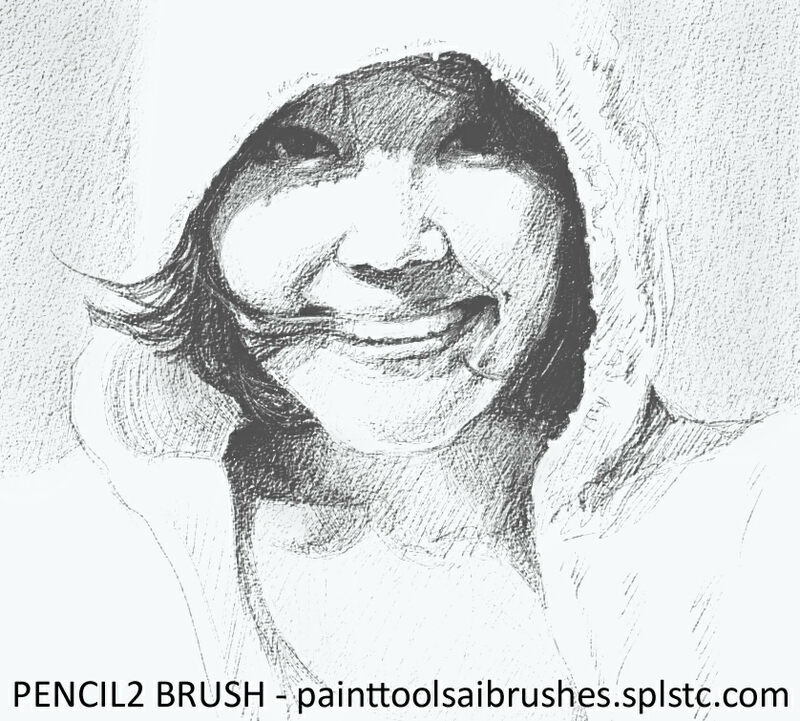 If you don’t have these brushes or textures, click here.